A top NATO leader on Sunday praised Turkey’s hospitality in taking in and protecting war victims and Syrian refugees. 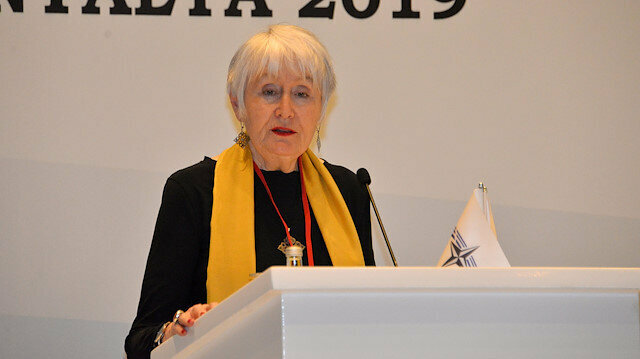 "The level of hospitality Turkey demonstrated to refugees, that is a huge lesson in humanity," Madeleine Moon, president of the NATO Parliamentary Assembly (PA), said on the last day of a NATO meeting in Antalya on the Turkish Mediterranean. Turkey currently hosts almost 4 million registered refugees -- including nearly 3.6 million Syrians, more than any other country in the world. Moon, in her closing speech at the meeting, also thanked Osman Askin Bak, an MP from Turkey’s ruling Justice and Development (AK) Party, for organizing a soccer match between Syrian refugee children and NATO PA members on Saturday. "This was a most amazing evening organised by @OA_Bak so much fun for everyone your generosity towards the children was outstanding #NATOPA #Syrian #refugechildren #sportunitesus #semantalya," Moon wrote on Twitter.